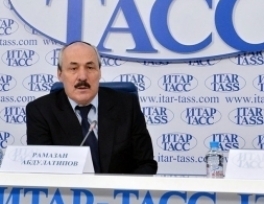 "Makhachkala more Russian than Moscow" - said the Head of Dagestan Ramazan Abdulatipov during the press conference to the “Itar-Tass” news agency. Speaking about the promotion of traditional culture and the prevention of extremism , the head of the republic said: "During festivals I and other citizens of our republic put on the national costumes, but some people say that it is a masquerade. It has nothing common with masquerade. Please, answer me, if we didn’t deprive our women an opportunity to wear our national dresses would they began to wear Arab costumes? if we have maintained this tradition, would it be today? But it is not meaning that we have to wear our national garments every day. It implies that we must respect our traditions. Well, what's wrong with Russian national dress? Why have I never heard Russian national song in Moscow? Whether it in any restaurant or in any club? Where do we live? In this regard, Makhachkala is more Russian than Moscow. " 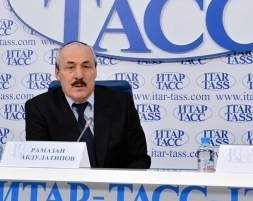 Ramazan Abdulatipov also said that cultural-historical societies have been created in the republic. The representatives of these societies will carry out cultural-educational work, meet with people and conduct lectures.